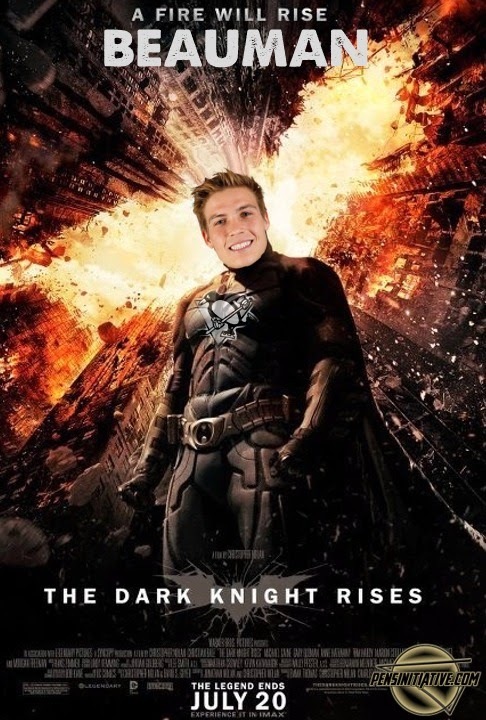 This was the year that Beau Bennett was going to break out for the Penguins. This was the year he was going to prove that he is a top-six forward in the NHL. Then, he got injured, again, for the third time in his very short NHL career. Pittsburgh Penguins' former first-round pick Beau Bennett, is expected to return to the lineup this week after suffering an injury during training camp. Bennett, who has already three injuries that have caused him to miss 10-or-more games since being called up to the NHL in the Spring of 2013, has a chance to prove his critics wrong with his return to the lineup. There is no doubt about Bennett's talent, considering he was the 20th overall pick of the 2010 draft. However, his inability to stay healthy, dating back to college has been frustrating to say the least. Just search "Bennett" on Twitter or Facebook and you will see lots of similar tweets about Bennett being fragile and injury prone. That is hard to argue in all honesty, seeing as Bennett has missed 74 out of a possible 95 games since the begging of the 2013-2014 season. Dating back to his college years, Bennett has only been available for about 60 % of his games. I can see why people do not want to keep their hopes up when it comes to Bennett's ability to stay healthy. I do not think Bennett is soft or fragile. His injury during training camp was a fluke injury in which his teammate (Kasperi Kapanen) stepped on his foot. Any other player would have missed time so you can not blame that on being fragile, it was just bad luck. Bennett is a former first-round pick. The Penguins still have a lot invested in him. Bennett is also a restricted-free agent after this season. The Penguins need to find out just where Bennett fits in when it comes to this season and the future. Bennett looked fantastic during preseason. Bennett, who was primarily playing with Brandon Sutter during preseason, looked very much like the top-six winger that we expect him to be. The forward depth still isn't ideal. The Penguins are on fire offensively right now, but depth at the forward position is still their biggest weakness. Putting a guy in the lineup as talented as Bennett creates a domino effect for all four lines, allowing them to be even more balanced. Josh Yohe, Penguins' beat-writer from the Pittsburgh Tribune-Review, told PensIniatitive.com on our podcast that Jim Rutherford and the Penguins will acquire a top-six winger. Yohe also suggested that a top-six winger might be coming before the trade deadline. In all due respect to Blake Comeau, he is not a top-six winger. He is producing at a very great rate, but there it is not realistic to expect him to continue at that rate. Comeau would be better served on the third line, providing good two-way play and stability. Insert Bennett, who should be used in a top-six role. Mike Johnston might want him to play with Sutter out of the gate based on how well those two played together during preseason, and because he might not want to just give Bennett a spot on Malkin's line, but that is where Bennett should end up sooner than later. Despite Comeau playing well above his career production rate, Malkin's five-on-five play is suffering because of his less-than-stellar wingers. Malkin went from playing with Jussi Jokinen and James Neal to playing with Pascal Dupuis and Comeau. Putting Malkin on Bennett's line will give Malkin a legit top-six talent to work with. It will also allow the Penguins to replace Zach Sill from the lineup, which should make Marcel Goc a very happy man. Goc, who centers the fourth line, has been anchored down badly by his wingers Craig Adams and Sill. A trickle-down effect by Bennett's return should put either Nick Spaling or Comeau on Goc's line, allowing he and the fourth line to actually try and produce a point or at the very least, have better puck possession numbers. Lastly, I do like how the Penguins' front-office has dealt with Bennett's return. They didn't just send him down to the AHL for a conditioning stint. They wanted him to play and play well. “He has to leave no doubt that he’s a full-time National Hockey League player,” - John Hynes, the head coach of Wilkes-Barre Scranton. Based on his play and production, it sure looks like Bennett is ready to play in the NHL and as early as this Tuesday night. If Bennett can stay healthy, he will only make the Penguins team that much better, which is almost scary to think about. Of course the natural reaction for everyone is to be skeptical towards's Bennett's ability to stay healthy, I also think Bennett needs to play better along the boards. Overall, Pens' fans should be excited about Bennett's return.